This is a great hotel the staff are very helpful and accomodating.The beds are very comfortable and facilities are good as is the location. I have stayed at the Alto quite a few times and always found the experience a good one. A vert pleasant stay on Melbourne. Staff so friendly. Loved the complimentary drink with Gary and the puzzles!! Spotlessly clean. Friendly helpful staff. Great location. Homely lounge area. Scrumptious breakfast buffet. Hot breakfast delicious and well presented. We appreciated the use of the hot drink facility. Also enjoyed the activities left out for the guests. We will return if only to solve all the puzzles! Love staying here when we are in Melbourne. Very convenient location for getting to and from Melbourne airport. Staff always very helpful. Love the nightly happy hour, great to meet other guests, relax, chat and play games all before going out for evening meal. Thanks again for a comfy stay. This experience was the same as our last visit some years ago. The rooms are clean, comfortable and warm, staff very helpful and breakfasts delicious. We found the Alto Hotel to be perfect for our needs. The staff were very pleasant and accommodating. The price was excellent and provided fabulous value for money. As usual a very enjoyable stay....my favourite hotel. Absolutely loved our stay at the Alto Hotel! Location is perfect, service is amazing and our complimentary upgraded room was spacious and immaculate. Breakfast was delicious and the added perks such as complimentary candy buffet, 24/7 complimentary automatic coffee machine in the A-Lounge, massage chairs and weekday happy hour drinks/nibbles make for a real point of difference in a city where accommodation choices are plentiful. We'll definitely return again and next time we'll bring the rest of the family! 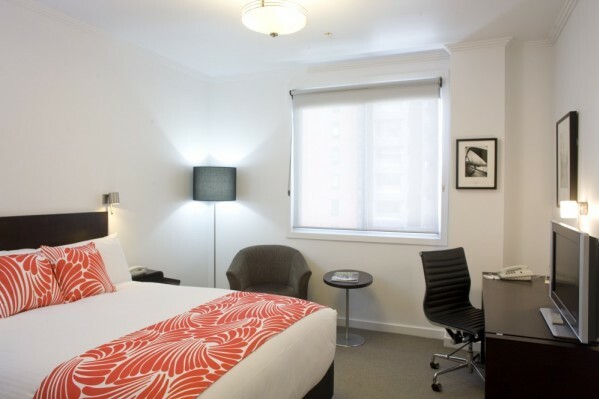 Such a lovely boutique hotel easy access to Spencer Street DFO and Etihad Stadium. Only a tram ride down to Bourke Street malls for fantastic shopping. Endless free coffe was amazing and an afternoon pick me up with the lollybar. Wonderful. Love the comfortable beds and being able to open windows to have natural airflow rather than air-conditioning. Great hotel. Always enjoy my stay here. We didn't stay long enough to find out. The usual very friendly service, home away from home in my case. Nice stay. Loved the "extra" things that made the experience so much better - coffee, lollies, happy hour etc. Will stay again. The location is perfect and the staff were the best of any hotel I've visited. It was great. I will never stay anywhere else in Melbourne -- a combination ofthe friendliness, 'easy-goingness', co-operativeness with the difficuties of travelling, the fact of the microwave and toaster meaning you can look after yourself, the 24 hour coffee rom: just brilliant. Excellent, professional and very friendly staff especially those at breakfast time! Excellent stay once again, great to see Amy's smile when we arrived. See you soon. Fantastic. We stay here every year for a weekend together and everything is perfect. The staff are welcoming, super friendly and helpful. The rooms are huge, the bed is comfy and the spa great. the free coffee is handy and the massage room is fabulous. Thank you so much. Fabulous service from front-end staff. A most enjoyable, comfortable stay. All staff were very welcoming and helpful. The breakfast was amazing. Coin laundry appreciated - inexpensive - good location within hotel (not in a dark basement!). The location was perfect. For the bus to airport as well as everything else we did. Staff had good suggetions for places to eat and things to do, It was very quiet and the bed was comfortable. Other guests were friendly - which to me says something about the hotel. Mum and I enjoyed our stay, thank you very much! Alto Hotel was very quiet and the bed was really comfortable. The location was very handy as it is very close to tram stop on Bourke Street and Spencer Street Station. The room had good amenities such as a microwave and I especially liked the spare umbrella in the wardrobe as Melbourne weather is unpredictable. Staff in the dining room were friendly and welcoming. I had made a special request for soy milk and was pleased that a jug was waiting in the fridge for me so I could enjoy a cup of tea. Wish I could have stayed longer! Everyone I met was so helpful and friendly, and the room was so well designed. It’s great to know that an environmentally considerate accommodation option is available so close to public transport in Melbourne- I’ll definitely be back! We have stayed there many times now and it has been consistently good. Staff are always friendly and helpful. The Alto Hotel was in a great position, close to trams, shops, restaurants. Staff were excellent and room clean and tidy. Will definitely stay again. The hotel is in a very good location close to transport links including the Skybus terminal. The staff are friendly and very helpful. The room was spacious and well maintained. The breakfasts were very good, freshly cooked and plentiful. Thank you for a great stay and fantastic service! Very nice overall. Room was clean, well presented and had a great selection of Foxtel channels. Location is second to none, but still quiet enough at night. Breakfast food was also very good. It’s such a lovely and quirky hotel. The lounge with games ands lollies and coffee/tea/hot chocolate and books and the amazing relaxation room were such unusual and lovely touches. My room (101) was a bit noisy with the trams outside, and you could hear people outside the room very clearly, but it wasn’t too bad. I loved the beautiful and comfortable chair in the room and the bed was very soft (apparently you can buy them for your own home!). The staff were all lovely and the location so near the Skybus and Etihad Stafium was perfect for me. I’ll definitely be back.